Join our Yunnan Discovery Tour to discover its incredible tapestry of landscapes on this in-depth holiday, from soaring landscapes to charming villages. See the iconic sites including terraced rice paddies, Tiger Leaping Gorge and Songzanlan Temple. 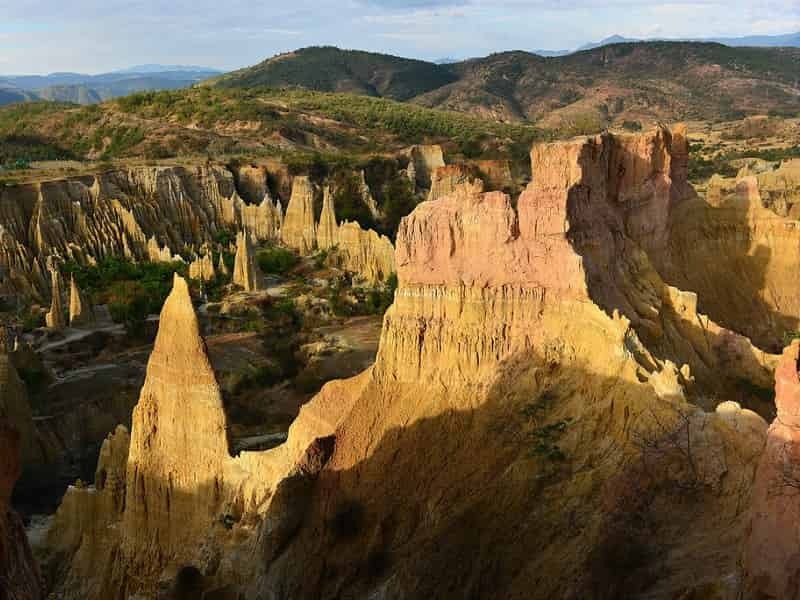 Then delve deeper to explore lesser known places for a true immersion into Yunnan’s rich fabric of life. Welcome to Kunming, capital of Yunnan province! 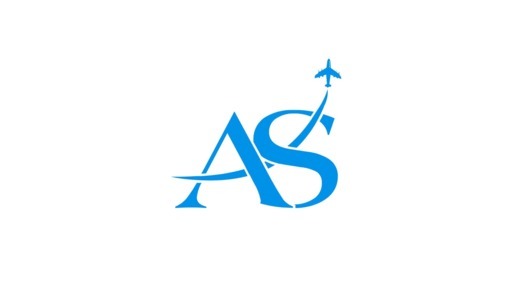 Upon arrival into Kunming, you will be met by Asia Senses Travel guide and driver then provided with a transport to the hotel for check in. Depend on your actual arrival time, some soft sightseeing is suggested accordingly. Enjoy our welcomed dinner then free at leisure. Begin the first full day of this Yunnan Discovery Tour with a stroll through Green Lake Park (Cuihu Park). This visit helps you gain some unique insight into the everyday occurrences in a traditional Chinese park. Early birds start their day with tai chi, qigong, or a similar type of physical exercise considered vital to health and well-being. Others warm up the day in a friendly game of Chinese chess, Go (an ancient Chinese board game), or Mah-jong. After visiting the park, continue to the Yuantong Temple. 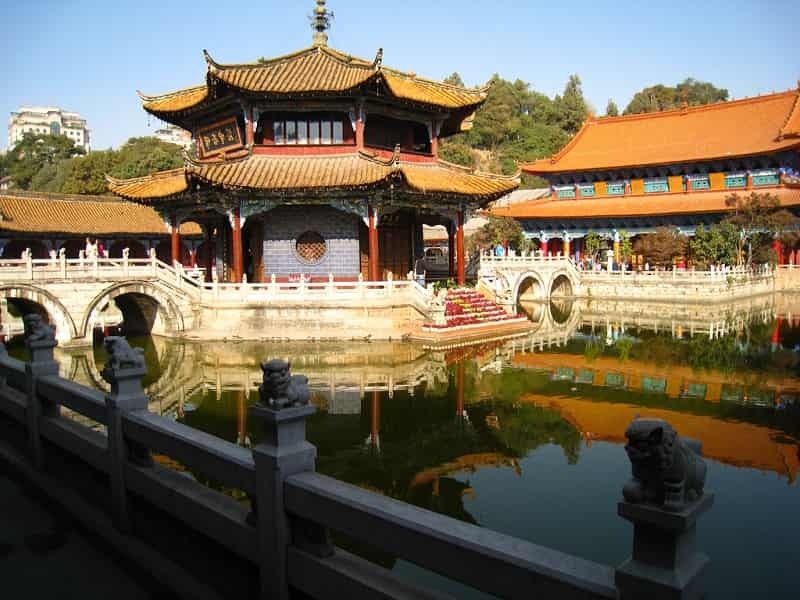 As one of the oldest Buddhist monuments in Kunming, this temple was founded during the Tang Dynasty (618-907). Located in a natural valley, the temple’s unique location contributes to its peaceful atmosphere, which is still regularly visited by pelerine monks. The next stop is the pine and cypress-surrounded Golden Temple (which takes its name from the gold leaf which covers the main pavilion). Despite Buddhist influence, this temple is dedicated to Taoism, providing a glimpse into another fundamental pillar of traditional Chinese belief. From here, move on to the Yunnan Provincial Museum (or Haigeng Ethnic Minorities Museum), an essential stop for anyone wishing to truly understand the characteristically multi-ethnic nature of this region. The museum has a beautiful collection of finery and traditional dress along with a relatively clear explanation of popular art forms. Set off in the morning for the rice terraces at Yuanyang. Part of the journey is on a well maintained fast-moving motorway, but the final stage will be considerably slower. En route make a stop at a Hui restaurant for lunch, before arriving at our destination in the afternoon. The Yuanyang Rice Terraces are a major highlight of this Yunnan 2 weeks journey and are, without a doubt, the most beautiful in China (currently in the process of becoming a UNESCO World Heritage Site). Cascading down the mountainside through bamboo canals, the water transforms the mountain face into a truly wonderful site, giving the impression that the rice terraces are steps for giants leading to the mountain top. Each season provides its own unique attraction. For the more adventurous in the group, there will be an option to savor the local delicacy of eel, which are utilised in the rice production process. Just before the rice is harvested, eels are added to the paddy fields saturated with water to facilitate the harvest. Stop at the hotel and head to Laohuzui, literally “The Tiger’s Mouth”, to enjoy the sunset. Here rice terraces continue as far as the eye can see, and the panorama is breath-taking, even dizzying for some. According to the location of the hotel/guesthouse, we will set off extremely early to admire the sunrise at Duoyishu. For some, it may be possible to view the sunrise from the room’s terrace - depending on the chosen accommodation. It is recommended to wrap up warm as the early morning can be rather fresh! Breakfast at the hotel. Visit a local market in a Hani Minority Village (held daily, rotating between different villages.) 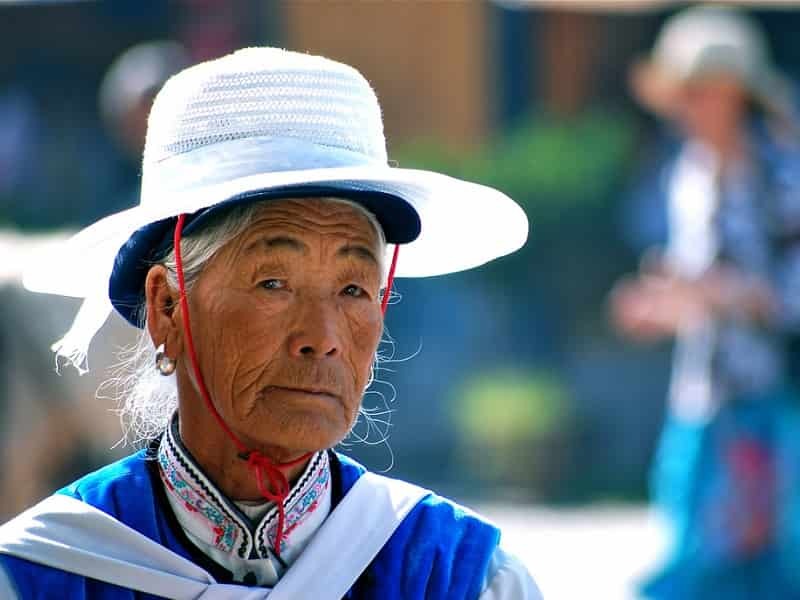 The Hani, otherwise known as the Akha in Southeast Asia, number around 1.5 million and are mainly to be found in Yunnan. 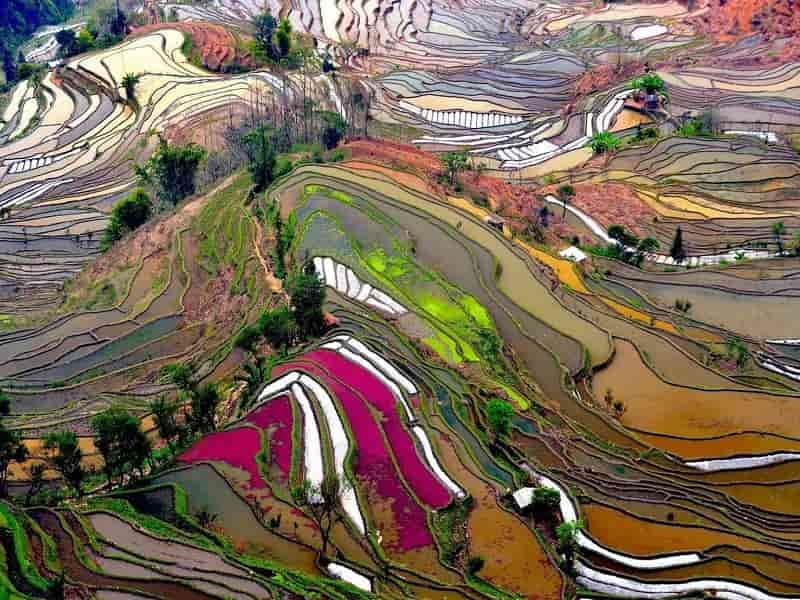 In spite of their modest numbers (compared with the scale of the Chinese population as a whole), they are famous for their mastery in the art of rice terrace sculpting and drainage systems. Often living in rugged areas where fertile land is hard to come by, the Hani have adapted their farming methods transformed 12,000 hectares of hillside into arable land. It is mainly the Yi and the Hani who come to buy their supplies for the week ahead or who sell their produce on the market. The busy market is to be savored for its traditional hustle and bustle and its bright and vivid colors. Continue with a 4-5 hour walk through the rice terraces, starting at Duoyishu and finishing at Bada. The day’s efforts will be rewarded upon arrival to Bada with a stunning sunset. The viewpoint from here is much closer to the terraces, providing a close-up view to the majestic work of the Hani. Start the Yunnan Discovery Tour today with a visit to the ancient Chinese garrison town of Jianshui. Begin first with a visit to town’s Confucius Temple, which, despite its remoteness from the heart of “Classical China,” is still considered to be one of the most beautiful in the country. It is particularly known for its green lotus pool which poetically symbolizes the immense scale of knowledge. Whilst there, soak in the unique ambiences of the surrounding Chinese parks, filled with the elderly chatting and Mah-jong games. The region is equally as well known for its residences of two families built in the 19th century, The Zhang Family Estate and The Zhu Family Estate. The Zhu Estate is located at the heart of the old town and is one of the most stunning examples of traditional housing in the entire country. An intricate labyrinth of more than 2 hectares of bamboo groves, pavilions, courtyards and bandstands, it is entirely concurrent with one’s mental image of Imperial China. The estate is today a hotel, but its old-worldly charm is well protected. The Zhang Estate is located at Tuanshan, around 15km from Jianshui. This seemingly timeless village is an interweaving lattice of avenues that hide the stunning former residences of merchants, who made their money in the salt trade. These houses are interspersed with the more common ochre houses of the village, which are often left unoccupied. The Zhang Estate, with its square courtyards, sculpted doors and richly decorated friezes is the best example of such a house. Before returning to Jianshui, we will visit the Twin Dragon Bridge, taking its name from the two rivers which weave dragon-like through its 17 arches. It is one of the oldest bridges in all of China, and is a wonderful piece of stonework. After this stop, we will head back to the hotel. After breakfast, pay a visit to the county of Lunan, to discover the Stone Forest, which is roughly 10km away from the main site but just as impressive. While this maze of “stone trees” is fascinating, it’s also easy to get lost in; so it’s imperative to always follow the guide! Depending on the weather, there will also be a picnic lunch held here in the middle of the “forest”; this not only provides some stunning scenery, but also avoids the inflated prices of the tourist restaurants. This morning, head off for Dali. Home to the Bai minority, Dali was once a stronghold of the kingdom of Nanzhao (738-902) and acted as the epicenter of the Dali Kingdom (937-1253). The region (more specifically, Erhai Lake) is famous for its discovery of bronze artifacts dating back to 1000 BC. The Bai are most distinguishable by their clothing, predominantly white, and by their homes, which are very particular to this region. After checking in to the hotel, we will set off for the Three Pagodas at the Chongsheng Temple. 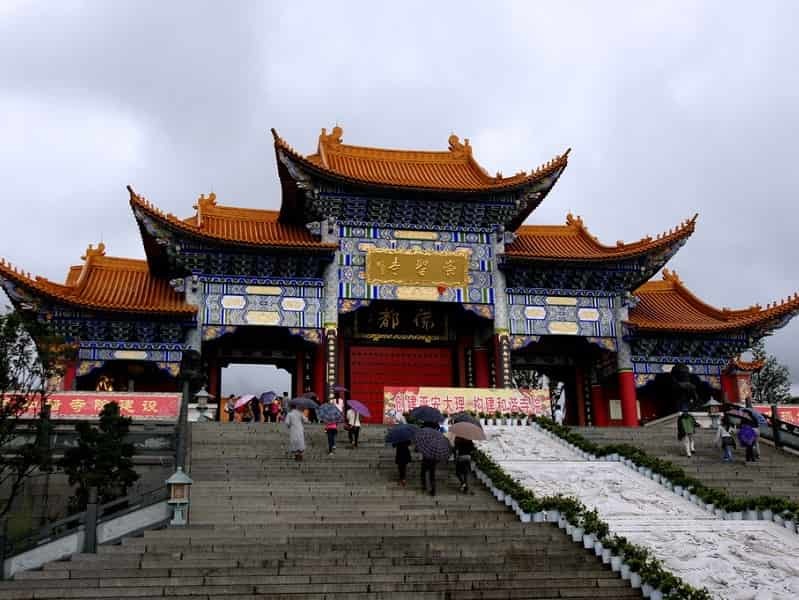 The temple is a mystical emblem of the town and stands proud at the foot of the Changshan Mountains. The three pagodas were part of a vast monastic center, which unfortunately was almost completely destroyed in an earthquake. The remaining temple was restored and transformed into a museum; for those interested in visiting, we can happily make arrangements. The site is particularly impressive when the sun sets behind the mountains and illuminates the ochre color of the pagodas. After the pagoda visit, head back to the old town of Dali and explore some typical Bai homes. A relaxed and warm atmosphere seems to ooze from these white walled homes, which are often decorated by paintings representing mountains, running water, birds and flowers. Their front porches, famous throughout the country, are distinguished by their beautifully carved arches. Shaxi was once a major stop on the Tea-Horse Road that ran through the region, forming a major part of its heritage and history. 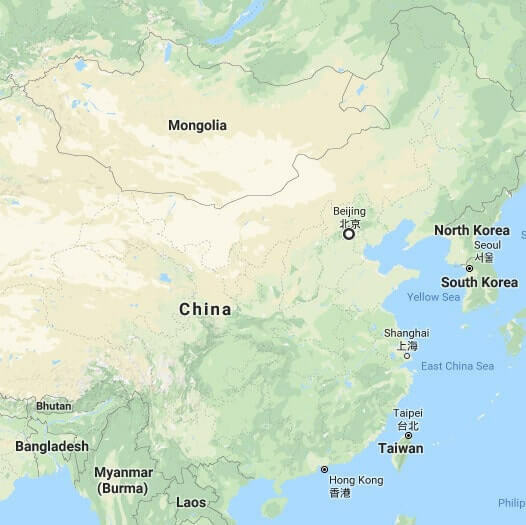 While less well known than the Silk Road, it still remains a key trade route between the most remote areas of Xishuangbanna (in the far south of Yunnan), Tibet and, by extension, Nepal, Laos, Burma and India. Nowadays Shaxi is a subtle blend of an oasis, a kind of western cowboy town, a backpackers’ haunt and a typical Chinese village that is unlike anything else in China. Ancient stables have been perfectly renovated and transformed into charming hotels, whilst traditional wooden homes have been changed into restaurants and cafés. Enjoy a free morning in Shaxi exploring the old town’s maze of avenues or discovering the surrounding countryside known for its ochre earth (villages are made of the same material). Optional: For those interested, pay a visit to the dramatic Three Terraced Pavilion, an extremely rare building in a very remote area. Whilst there, it is worth taking the opportunity to visit the nearby Buddhist Temple. If the itinerary falls on a Friday, there will be a chance to visit a weekly market held by the local Bai and Yi peoples. They often come down from remote corners of neighboring mountains to exchange all types of food products and day-to-day necessities. After enjoying a local lunch, head to Shibaoshan, an impressive collection of temples, caves and stone sculptures, dating back to the 9th century. Take note of its religious effigies, such as the statue of Guanyin (the goddess of mercy) or the renowned black Stone Treasure, which is believed to increase the chances of fertility. The visit will also allow a walk with some spectacular views of the surrounding valley and villages. After the walk we will return to Shaxi, where the evening will be free. Overwhelmed by the peace and quietness of Lijiang, crossing over the labyrinth of alleyways, arrive at the Lion Hill, which offers fantastic views over the village below. At the top of the hill, there will be a chance for a quick coffee break on the terrace to relax after the ascent. Afterwards, pay a visit to the Mu Palace. The palace is a vivid example of Ming and Qing architecture, based on the same style of architecture as the Forbidden City in Beijing. Following the visit to the palace, head to the edge of the old town to enjoy the local market. With locals still dressed in traditional clothing selling teas, vegetables, fruits and even daily tools, it’s a good place to get a feel for the ‘real’ Lijiang. From here, continue on to the Black Dragon Pond Park in the north of the town offering panoramic views of the famous Jade Dragon Mountain. Continue to the Old Market Place, at the vibrant heart of the old town. Enjoy a leisurely evening wandering around the red lantern-lit town. Note: As the cobbled streets can sometimes be slightly slippery, it’s recommended to wear sturdy shoes. The order in which we visit the sites may be modified depending on the hotel in which we stay. 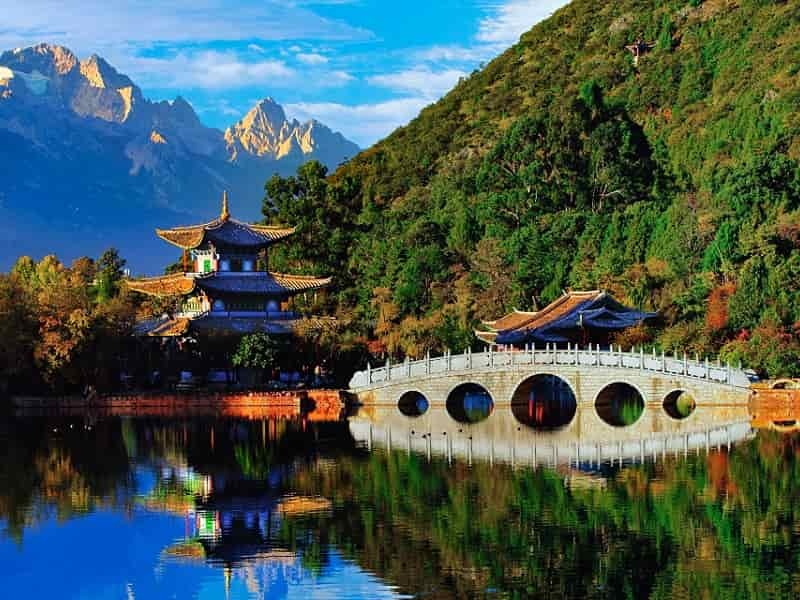 Head to Lijiang and Jade Dragon Mountain, which stands majestically to the north of the city. The number of visitors to the site is rather high and so we will instead visit an area less well-known, but quieter and more rural, called the Yak Prairie. The views from here over the glacier are equally as stunning as from the more popular destinations. The rest of the day in the afternoon will be free at leisure. 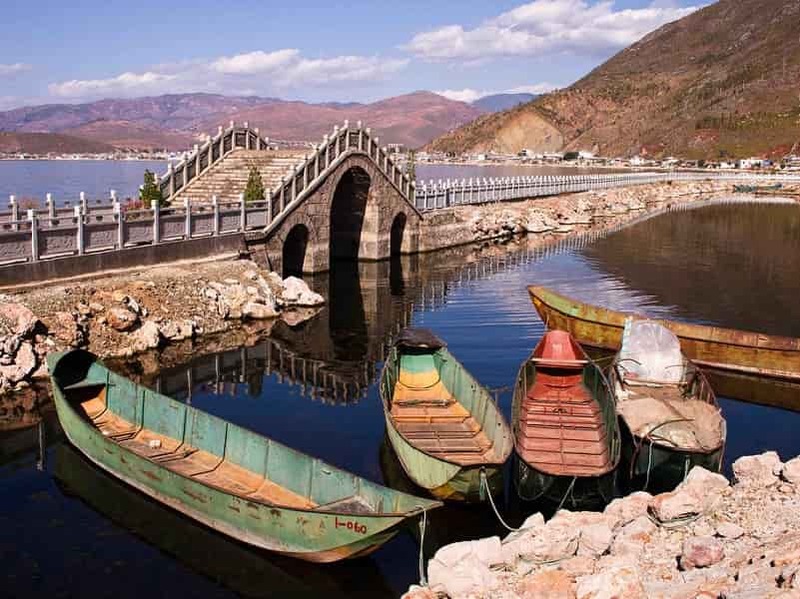 You drive onto Lugu Lake today, at an altitude of 2690 meters - a stunningly picturesque journey, folllowing a tributary of the Yangtze some of the way, and passing through a handful of minority villages. There are many ethnic minority groups inhabited around the lake, such as the Mosuo, Norzu, Yi, Pumi and Tibetan. The most numerous of these are the Mosuo people, a sub clan of the Naxi people, which considered as “a live fossil for researching the marital development history of Human beings” and "the last quaint Realm of Matriarchy". 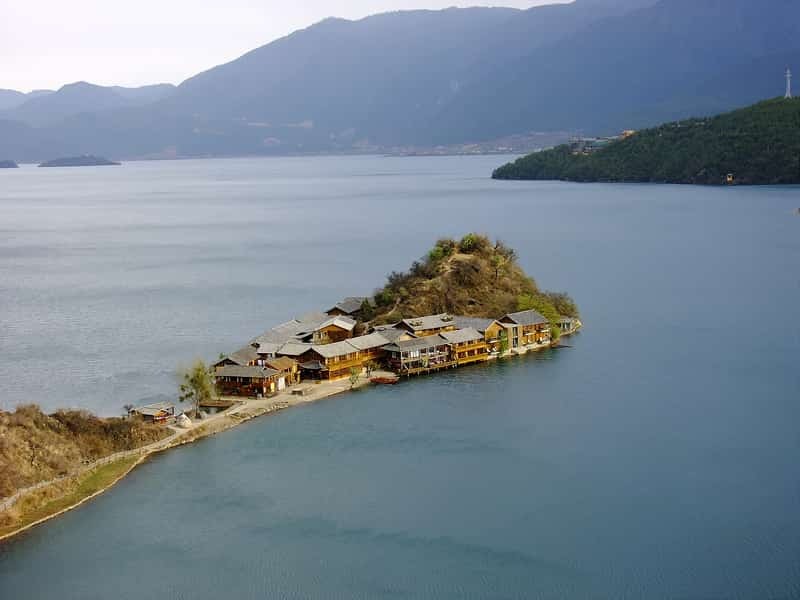 Hence, Lugu Lake is called the “mother lake” by the Mosuo people and it becomes “The Kingdom of Women” and “Home of the Matriarchal Tribe”. Have time around Lake Lugu today - visit some minority villages, go walking or even horse-riding, or simply relax and take in the views - the choice is yours. After breakfast, return to Lijiang before heading to Zhongdian, a stop along the old Tea Horse Road; a major trade route between the Tibetans and Chinese in the ancient time. Zhongdian is also part of “Shangri-la,” the mythical paradise of Tibetan Buddhists and imaginary world described by novelist James Hilton. To this day, the Zhongdian area is still heavily influenced by the fascinating culture of Tibet. Along the way, we will stop visit the Tiger Leaping Gorge, one of the deepest gorges in the world. This natural crevice separating the Jinsha River has staggering variations in altitude (nearly 4000m). As such, it has become a playground for global trekkers keen on defying this unforgiving terrain. We will take a short walk in the gorge. Arrive in Zhongdian in the late afternoon and make a stop at the hotel. Take a stroll through the old town, a small maze of cobbled streets lined with wooden houses. Pay a visit to the Baijisi Temple, which offers a beautiful view of the city. For those who are interested, participate in the daily spectacle of local dancers who come to show off their moves in the old town’s main square. Participants usually dance in a circle to the rhythm of traditional or modern music; a unique show that shouldn’t be missed! Optional: We will head to the cozy, artsy Tara Gallery Café & Bar for a Tibetan dinner on the terrace (weather permitting). After the breakfast at the hotel, continue on to the impressive monastery of Songzanlin, an important location for Tibetan Buddhism still in use today. 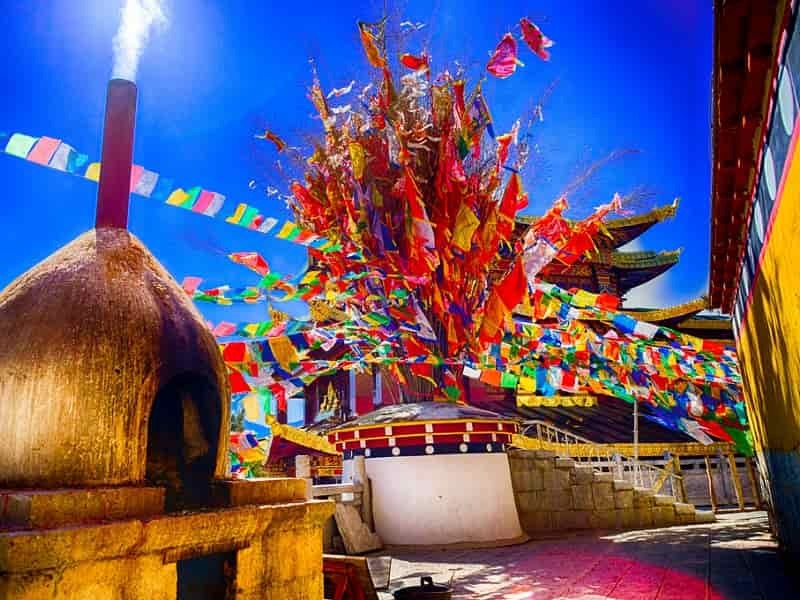 Admire the glittering golden roofs of the monastery at sunset (again, weather permitting) and soak in the countless prayer flags waving in the wind. Head to a school located in the old town for a truly unique course in the art of the thangka. Some teachers come directly from Lhasa to teach the talented, young Tibetans this truly mesmerising art form. This session will provide unique insights into the artform adorning monasteries and temples all over the region; an art that is closely linked with both meditation and Buddhist philosophy. Continue onwards to Napa Lake (difficult to reach outside of the summer season) surrounded by mountains on one side and the other by a broad meadow where horses and yaks graze happily. Continue on for the Ringha Temple. 700 year old and partially destroyed during the Cultural Revolution, the temple was rebuilt and is considered one of the first Buddhist temples in Yunnan Province. Transfer back to hotel. Spend the morning traveling to Deqen, located at an altitude of 3500 meters. Stop along the way at the small village of Nixi, known for its production of pottery (almost 70 of the 100 families living in the village are working in this craft for over a century). Stop for a brief tour at a house of a Tibetan family where it will be possible to sample some “tsampa”, a mixture of yaks butter, tea and flour. Continue to the small city of Benzilan where lunch will be held. Next, pay a visit to Dhondrupling Gompa, perched on the edge of a mountainside; one of the most important monasteries in the prefecture. While it’s not as impressive as Songzanlin, it is certainly more authentic. Its main assembly hall still houses around 300 monks. Arrival in Deqen in the late afternoon. Rise early in the morning to admire the sunrise over “Meili Xueshan” from the platform of Feilaisi Temple, a mountain range which stands as an impassable border between Tibet and China. The site is dominated by the mystical Kawa Karpo, a natural castle that at more than 6700 meters in height towers over the neighboring mountains. This amazing spectacle will be enjoyed whilst eating breakfast, prepared in advance by the hotel. The Mekong River, whose source comes from the northern Tibetan Plateau, carved out the gorge below Kawa Karpo. Cross the legendary river, reaching the charming village of Mingyong. This village marks the starting point for hikes that reach towards the glacier of the same name; it is also one of the stages of the “kora”, the pilgrimage of faithful Tibetans. Take a 10 km walk to the Lotus Temple, to view the ever-present religious spirit of the area, as well as some remarkable views of the glacier. Nearby, prayer flags tirelessly flap in the wind, providing a truly mystifying backdrop for this enchanting natural scenery. Note: Peak physical condition is required for this hike. For those not interested in trekking, it is also possible to do the experience on horseback. Return to Zhongdian on the same road as the day before (without stops). Arrival in the evening. After breakfast at the hotel, wrap up this Yunnan Discovery Tour with a transfer (provided) to the airport. Catch your onward flight.